It used to be fairly common to find marine plywood in sheets longer than 8 feet. 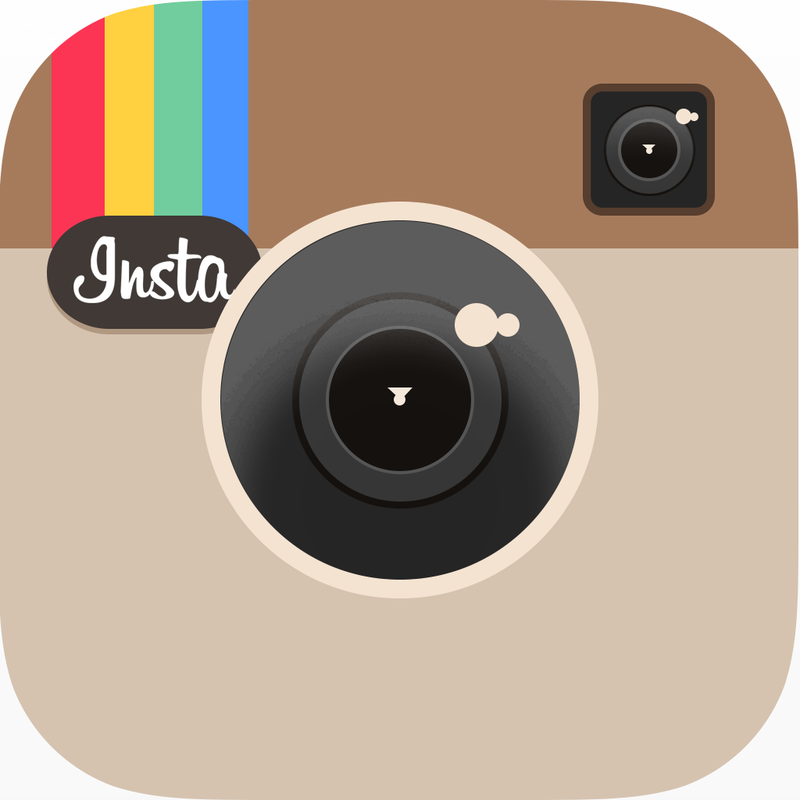 This is a service that has largely disappeared in the marketplace, or if you do find it, the scarf joints connecting the 8-foot sheets are rough and poorly executed. Then there's the cost of shipping! Anything over 8 feet long is going to have to ship on a tractor-trailer. Here at CLC, we have shipped many thousands of boat kits with "puzzle joints" instead of scarf joints. Our CNC machine, accurate to 2/1000th's of an inch, cuts interlocking fingers or "puzzle" joints. So far, we have never been able to identify a failed puzzle joint in a kit. The quality of the joinery in the finished boat ends up better, as the joints are so easy to align and very little clamping pressure is required. Meanwhile, we've been getting requests for 15 years for sheets of plywood with a scarf joint cut into one end. This was always impossible; our scarfing machine is only 30 inches wide, and we couldn't ship those fragile knife-edged scarfs on big heavy sheets without invevitable shipping damage anyway. We have the solution. 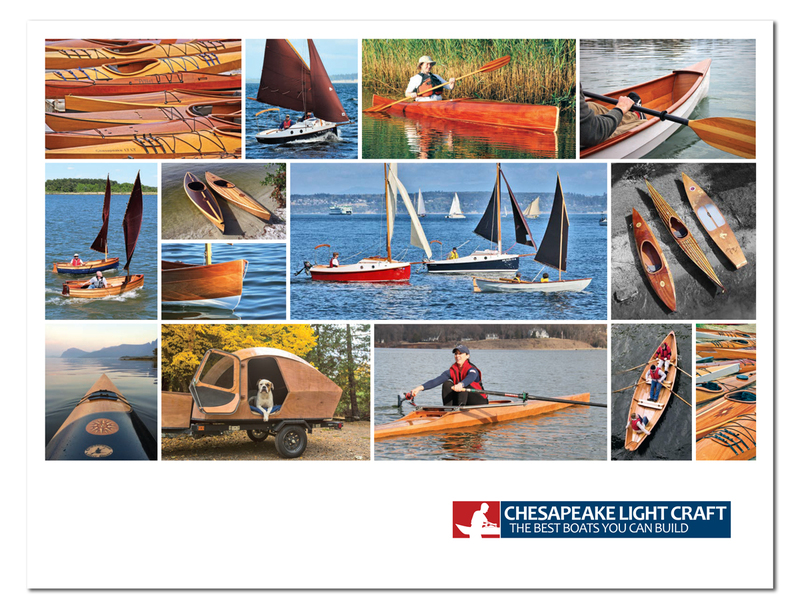 You can order a stack of plywood from us, and we'll cut puzzle joints to get the plywood up to whatever length your boat plans call for. Just apply epoxy to the puzzle joints, snap them together on a flat surface like your floor, and make sure the joints are aligned and that your floor is at room temperature while the epoxy cures. For more on this process, check out our Shop Tip on Gluing Up Puzzle Joints. Puzzle joints maintain the 8:1 length ratio used in scarf joints. The cutting process takes some width off the panels; sheets will be 47" wide. 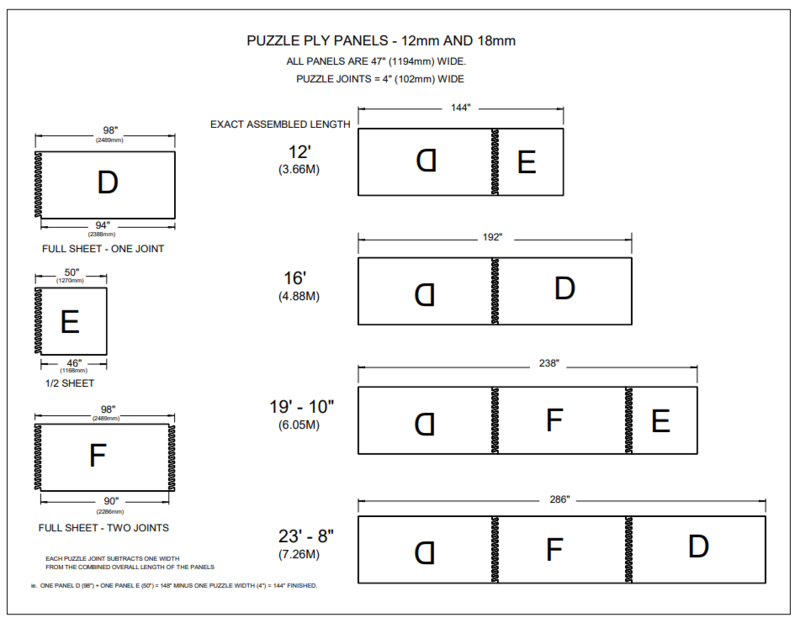 Use the following diagrams to determine which sheets you'll need to assemble your oversized plywood panel(s). 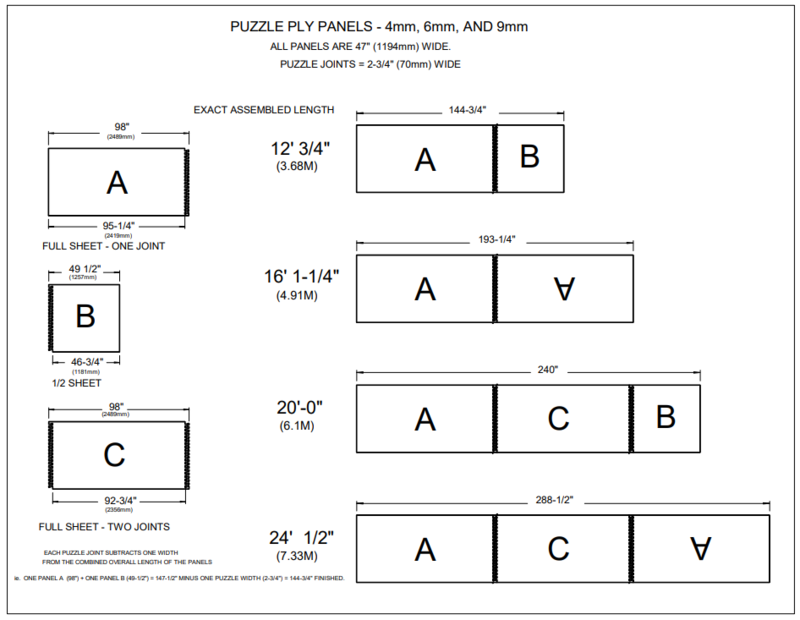 Note that each puzzle joint in your assembly will subtract 4" (the width of the joint) from your overall length. Regular plywood shipping rates apply.